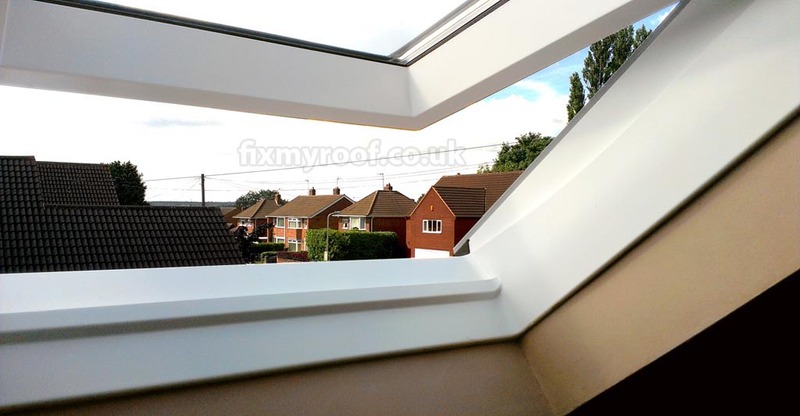 Velux have been around for many years now and the quality has always been very good in comparison to other manufacturers, I’ve been fitting them for many years and it seems that every six months something or some detail seems to have been improved. They continue to evolve their products regularly which can be a bit of a menace when writing an article or making a video but I will do my best to keep my facts as up to date as possible. 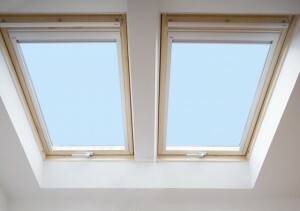 Although at the moment here in the U.K. Velux roof windows seem to be the market leader in terms of popularity, there are many other makes you may wish to consider, see my article on roof windows that lists the most common alternative to Velux. Common window sizes and flashings – Here are the common Velux window sizes and flashing sets at a glance, read further on for more options. The classic pine framed Velux has been around for many years now but is always evolving and becoming a better finished product, finished with a triple coating of clear varnish it’s a modern classic. Pine frame has the Code GGL. 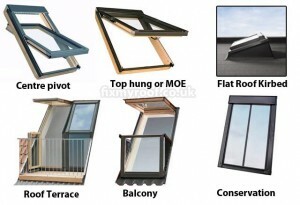 Velux Top hung windows – The original and classic pine frame finish. Multiple coats of clear varnish protect the wood. 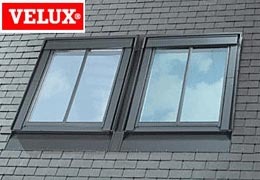 Velux originally only offered the very nice light varnished pine finished, however growing in popularity now is the white uPVC version introduced to the market. The white framed version coded GGU is high quality moulded polyurethane with a timber core and is ideally suited to high moisture environments. Many of my customers liked the Idea but were concerned that the finish may look cheap and shiny like a normal double glazed window, If you are unfamiliar with the finish I will try to show it here as best as possible. I can tell you though it doesn’t look cheap and shiny, the best way I can describe it is micro stippled, very pleasant. 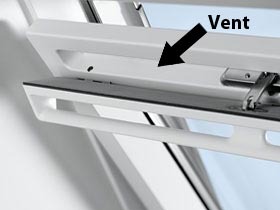 A nice feature of Velux windows and some other manufacturers now is the three stage Locked – Vented and Open positions of the top handle / bar. Velux window opening positions – Here the window is open and at the Stage 3 position. 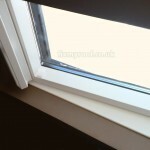 You can clearly see the vent which also boasts an insect filter built into the window frame. 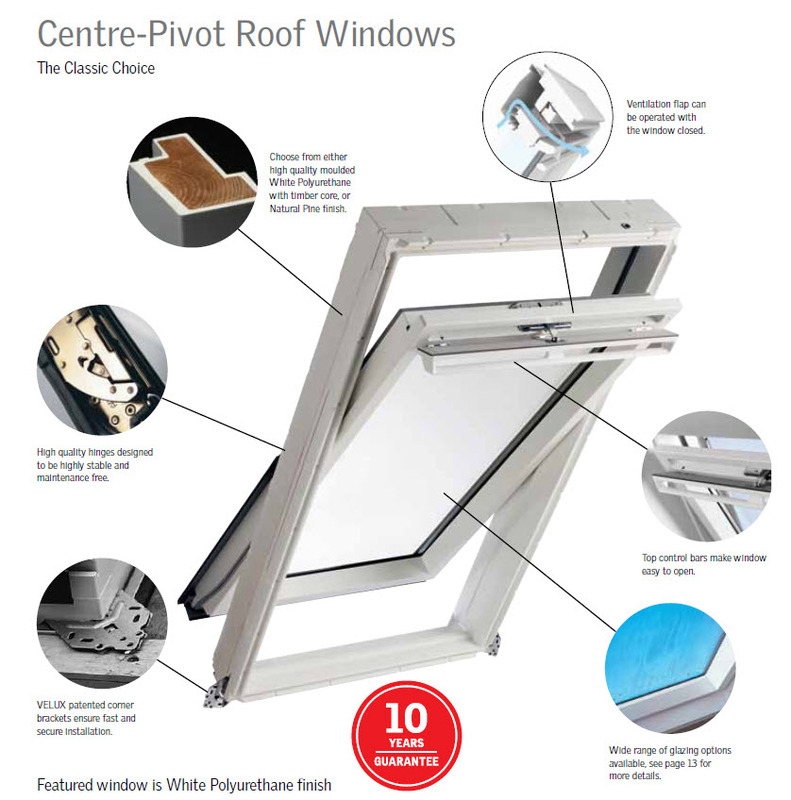 In depth – To see the features of a Velux white centre pivot roof window and the ventilation mechanism discussed above, click the picture to enlarge. The Velux Integra roof window range, electric and solar powered roof windows are ideal for out of reach situations and for adding that extra level of comfort. They are available in a choice of natural pine or white polyurethane finish and offer automatic closure when they sense rain. The motor is completely hidden and wiring is very easy but should be installed by a qualified electrician. 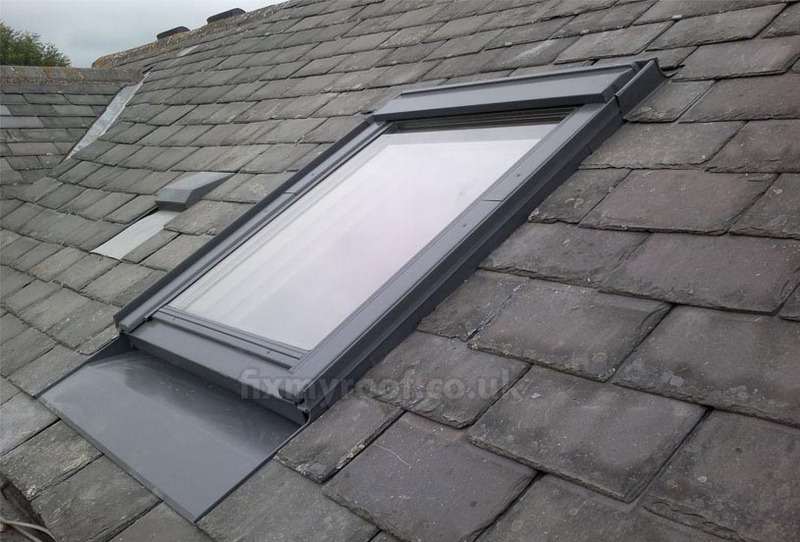 There are quite a few flashing options for Velux windows, a flashing set is purchased alongside the window as the roof window and the flashing are two separate items. 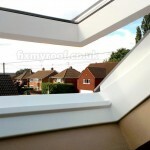 The purpose of the flashing set is to make a waterproof installation into a specific type of roof covering. here are the options. 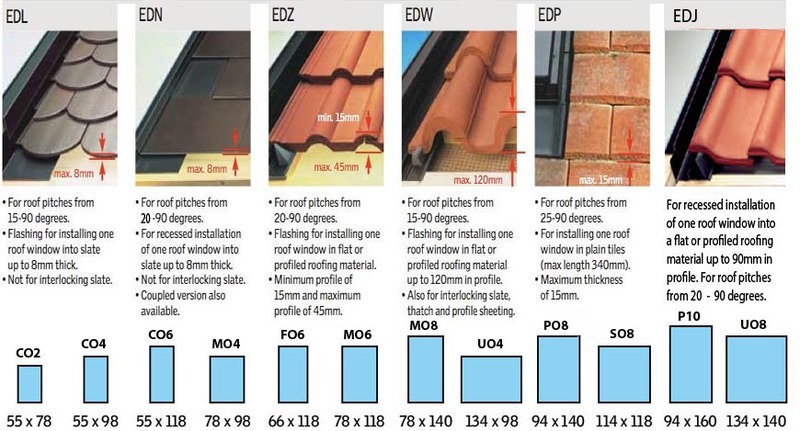 IMPORTANT – Please consider the minimum roof pitch, check that the flashing kit you need fits the angle of your roof. Lots of people, including local planning officials get caught out by looking at the minimum 150 angle stated for the Window but forget the Flashing set has a minimum angle also. 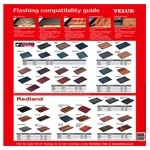 EDL/EBL/EKL Flashings for installing a roof window into slate, up to 8mm thick. For roof pitches from 15º – 90º. Not for interlocking slate or thatch. Maintenance free grey aluminium as standard. EDN/ETN For recessed installation of a single roof window into slate up to 8mm thick. For roof pitches from 20º – 90º. Not for interlocking slate. Coupled version also available. ETN centre flashing makes it possible to combine windows together side by side with 100mm frame gap. 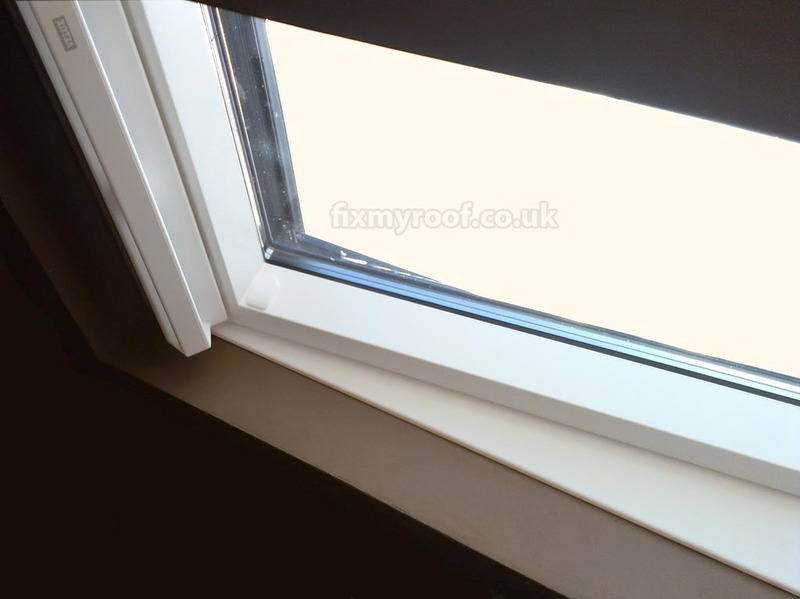 EDZ Flashings for installing a single roof window in flat or profiled roofing material with minimum profile of 15mm and maximum profile of 45mm. For roof pitches from 20º – 90º. Not suitable for interlocking slates, thatch, or profile sheeting. EDW/EBW/EKW Flashings for installing a roof window in flat or profiled roofing material up to 120mm in profile. For roof pitches from 15º – 90º. Also for interlocking slate, thatch, and profile sheeting. 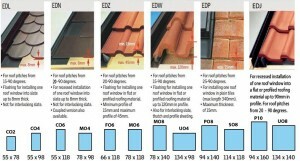 EDP/EBP/EKP Flashings for installing a roof window in plain tiles (max length 340mm). For roof pitches from 25º – 90º. Maximum thickness of 15mm. 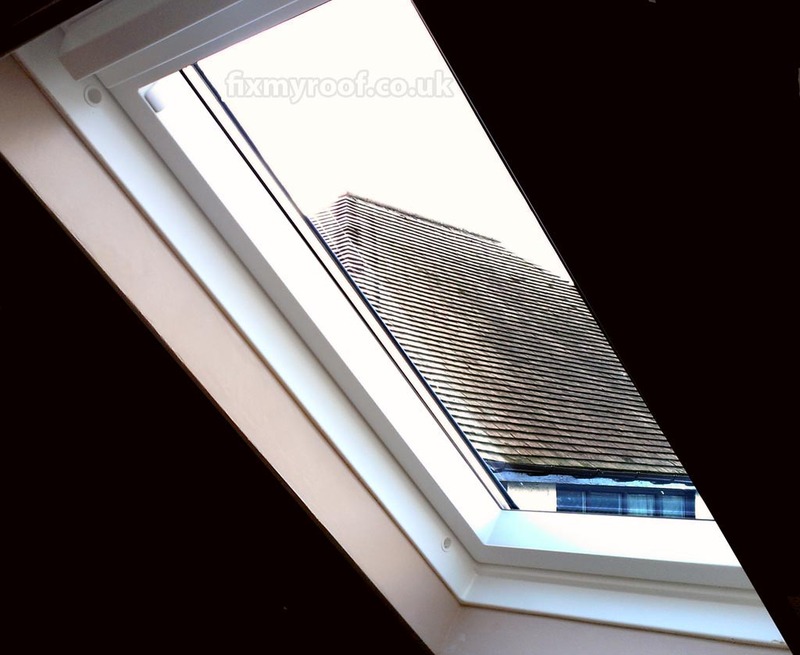 EDJ For recessed installation of one roof window into flat or profiled roofing material up to 90mm in profile. For roof pitches from 20o – 90o. One thing you can’t see very well on the Internet is what a recessed installation will look like when fitted, these flashing kits are very useful in situations where subtlety is important like old cottages, so here are some pics. 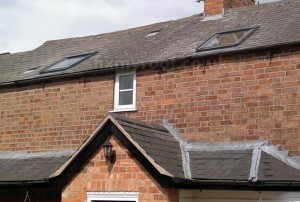 EDL flashings – Two low profile flashing sets into slate gives a slightly less noticeable look when approaching the house. 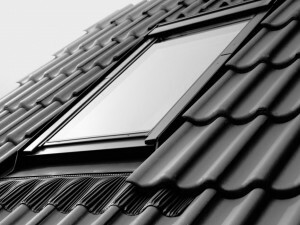 Close up – Viewed up close and from the side the EDL flashing sits the window 20-30mm below the height of a standard roof window. 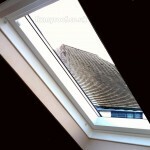 Tiles – An EDJ Recessed Velux skylight flashing set into a tiled roof, even more impressive.